Engineers integrating RF technologies into their embedded systems need to understand how their system under test interacts with the RF environment. Tools are required that allow the user to time correlate RF events with embedded signals on your device to debug operational or performance issues. 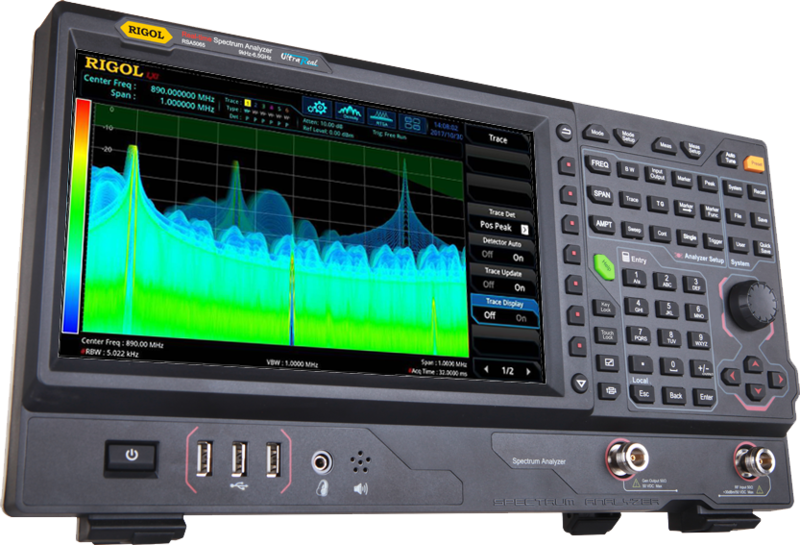 The RIGOL RSA Family of Real-Time Spectrum Analyzers enables this time correlated debug capability via an IF output of the Real-Time Bandwidth. The signal is converted to a 430 MHz carrier, which can be routed to an oscilloscope, allowing for easy visualization and time correlation with embedded signals on the hardware platform. RIGOL's new 7000 Series with its high sample rate and enhanced FFT capabilities make it the perfect companion to the RSA3000 or RSA5000 to solve challenging Multi-Domain issues. 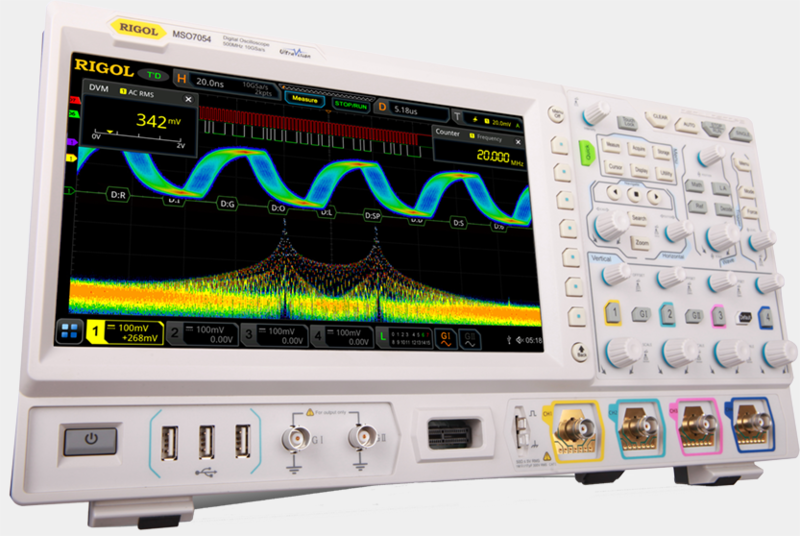 The 7000 Series Oscilloscope’s trigger output, external trigger, and analog channel capabilities are used in coordination with the RSA Family’s IF output and trigger IO functions. Together, this makes it possible to time correlate signals while triggering in either the time or frequency domain to isolate signals of interest. See how we connect these instruments and adjust the timing in these Multi-Domain Applications. Capture & Analyze fast RF Pulses that are difficult to view on a Real-Time Analyzer due to their short duration. 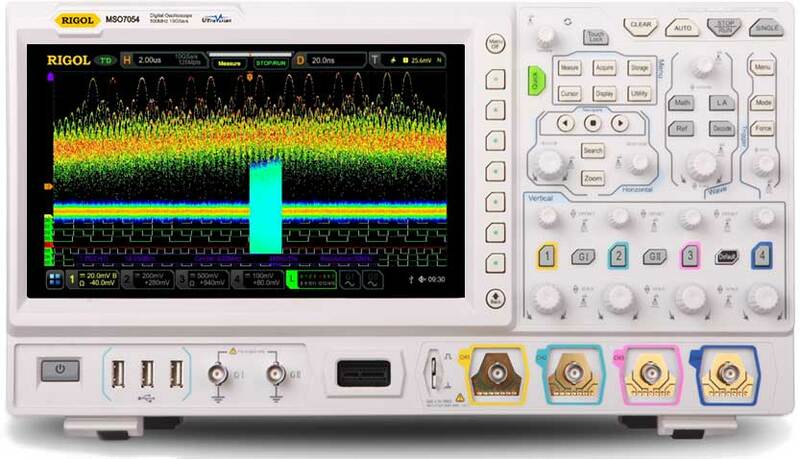 The high sample rate of up to 10 GSa/sec on the 7000 Series Oscilloscope, along with enhanced FFT capabilities, allow you to observe signal characteristics below the Spectrum Analyzer's POI. 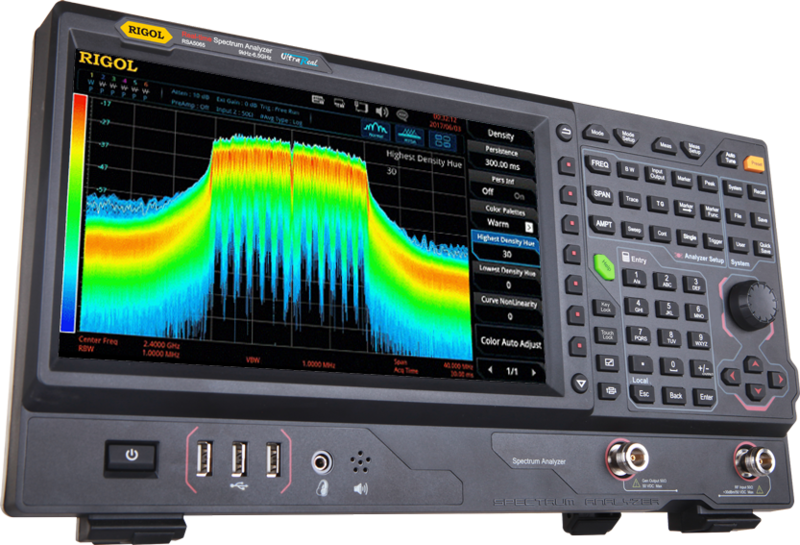 Use the 7000 Series advanced navigation capabilities including Search, Record, and Zoom to characterize modulation schemes, hopping patterns, and pulse durations in a correlated debug environment. 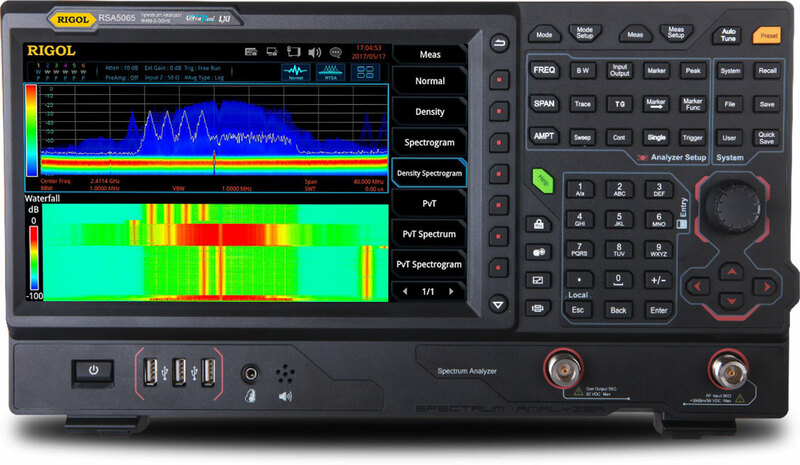 The RSA Family of Real-Time Spectrum Analyzer adds important Frequency Mask and Power Trigger functions. Use these trigger capabilities to isolate signals of interest in the frequency domain and then capture them on the oscilloscope using the external trigger. 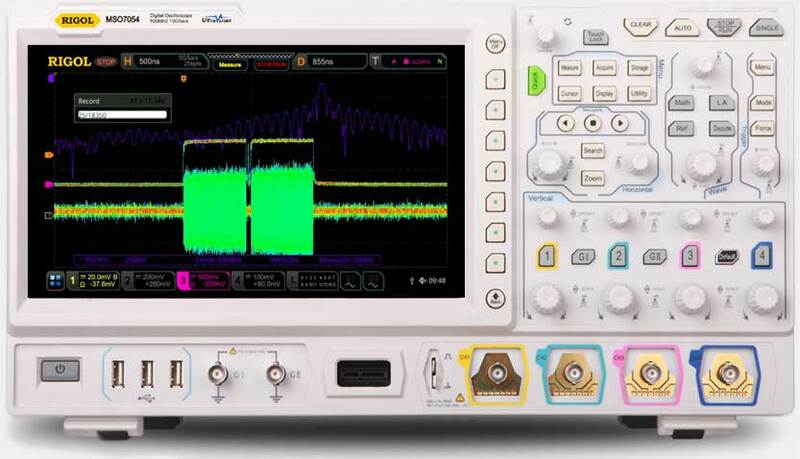 With the RSA5065 you can time correlate RF signals up to 6.5 GHz with your embedded signals using it with a 7000 Series Oscilloscope for these Multi-Domain applications. Select your RSA Family model and click the button to the right to find a distributor.